Miles Klaff sees legal cases as puzzles to be solved. On certain days, the puzzle pieces are multiple cases of legal malpractice – involving professional negligence and breach of fiduciary duty. On another day, he finds himself examining numerous property damage claims against an underground utility company. On still another day, he takes on the case of a franchisee who is the plaintiff in a case of fraud and breach of contract against a franchisor. Many of these cases begin with the pieces scattered everywhere, but under the studied examination of Miles Klaff, they usually come together nicely. In one recent legal malpractice case against a family law attorney, Mr. Klaff initially found the underlying family law case a labyrinthine-like repository of property and custody issues. At first blush, the claims appeared serious and troubling; however, after analyzing each of the many claims, he found that the plaintiff’s case was rife with weakness. As a result, it became a very defensible case that settled for far less than initially expected. Mr. Klaff always brings his extensive education to bear in such cases. He earned his Bachelor of Arts from Houston Baptist University in 1991, then his Master of Arts in 1993 and Doctor of Philosophy in 1999 from Texas A&M University. 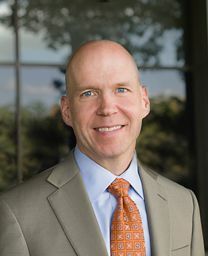 He earned his Juris Doctor from the University of Houston Law Center in 2002. Outside of work, he is an avid outdoorsman, hiking, camping, or hitting the trails for a run whenever possible.